Coming in at number 11 in our shootout is McAfee Wave Secure. McAfee is one of the biggest names in digital security, and by buying the popular security app Wave Secure, they're bringing the McAfee name and protection many have come to trust to your Android device. 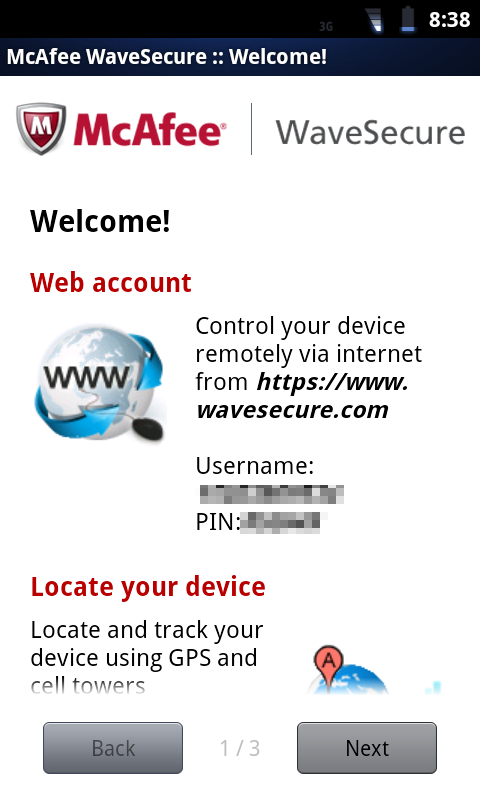 It took me a couple of tries to get Wave Secure installed on my Evo, but once I did I was quite pleased with the interface. 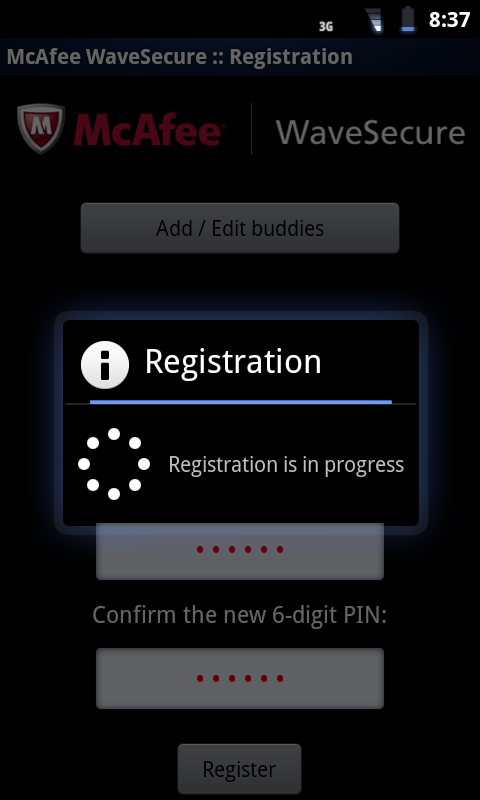 Setup takes just a few moments, and forces the user to assign "buddy" numbers, which will be notified if the phone's SIM card is changed. The idea of buddy numbers is a good one, but it was a bit frustrating that the user isn't given the choice. That being said, buddy phones are able to lock the device Wave Secure is attached to, and the app has a ton of other useful features, which we'll outline in a moment. Another option for installation is pushing the app using adb, which installs Wave Secure as a system app, allowing it to stick around after a data wipe and make use of root functionality. 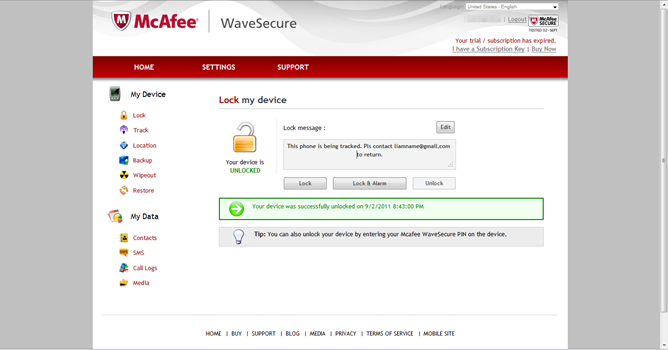 First I want to say that I'm impressed with much of the feature implementation put into Wave Secure. That is, many of the features have unexpectedly comprehensive functionality which we'll see later. It's worth mentioning, however, many of the features that should exist or be simple to use aren't necessarily up to the level that they should be. Despite this, I was initially very hopeful because of the McAfee name and the impressive-sounding features listed for the app. The online console is quite impressive -- the interface is clean, features intuitive icons and labels, and is generally just easy to use. The user is first greeted by the Lock screen, which will lock the phone (it is unlockable using the PIN the user created at registration) and display a custom message. Additionally, the user can trigger an alarm to coincide with the lock. Next is the tracking function. Despite its name, this function only tracks SIM information. That being the only thing this feature displays, there's not much to talk about. 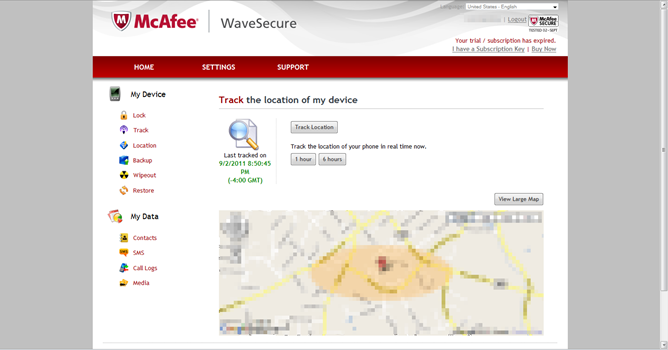 The location feature will be familiar to those who have been following the other apps in our shootout, with McAfee's offering also displaying a Google Maps pane with your device's approximate location. Something interesting about this feature is that it allows for 1-time location update or a continuous tracking feature that will track your device for either 1 or 6 hours. The continuous location option comes with a warning however: if you leave it on, your device's battery will drain, perhaps "completely." Next up are Wave Secure's backup and restore options. The backup option will upload a backup of your device's data. The user can choose what to backup from options including contacts, SMS messages, and call logs. The backup option is a nice touch, but I would love to see more options, such as photo and media backup. Finally, the user can wipe data remotely. 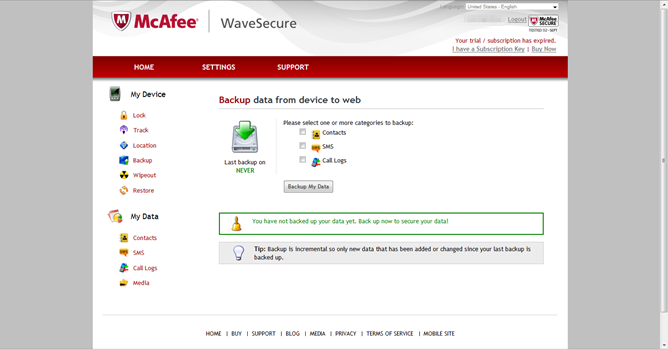 Again, Wave Secure gives the user options for which data should be deleted. The fact that the app doesn't automatically do a factory wipe is comforting, as it means the app will survive if the user remotely wipes the device. The same cannot be said however if your device is factory wiped by a thief (unless you've installed it as a system app, of course). In addition to the online console's various remote control features, users can look at backed up data, but interestingly, Wave Secure cannot grab call logs on demand. Instead, the user can view call logs by backing them up remotely, making the process a little more complicated than it needs to be. 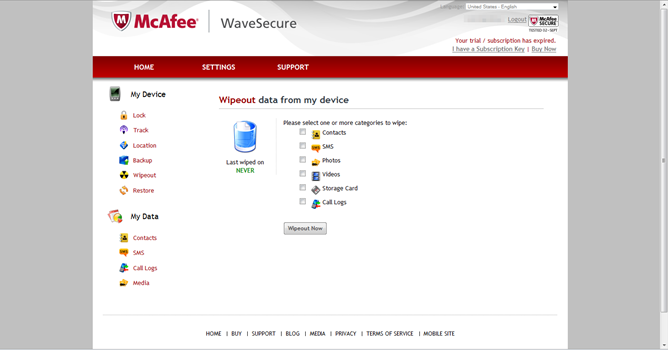 Wave Secure from McAfee provides a nice set of features, but several features we've gotten used to are either absent or accessible only through a roundabout process of backup and data viewing. Ease of use - The online console and app controls are intuitive, easy to use and work quickly. Everything is as it should be. Tablet support (kind of) - The app will work on tablets, but since tablets cannot accept SMS messages, some remote features are unavailable. 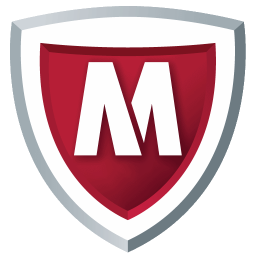 Trial Functionality - McAfee offers a 7 day trial of all security features so users can get a feel for how the app works before committing to a 1-year subscription. Root Support - This is a big one. McAfee has kept intact the ability to push Wave Secure as a system app, allowing it to use root capabilities including auto GPS switch-on, and protection against a data wipe, meaning the app will still protect your device even if a clever thief tries to wipe your device. Missing/Indirect features - On-demand viewing of call logs, SMS logs, etc. is absent. One can view this information via remote backup and data viewing online, but there's no real reason for the lack of on-demand capability. No Support For Multiple Devices - Only one device can be controlled from the online console. Limited SMS Support - Devices can be locked remotely from another device, but the other functions are unavailable if your device isn't connected to data or Wi-Fi. Overall Wave Secure is a fair security solution, but there is a lot of room for improvement. For $19.99/year (and for an app coming from McAfee) I would expect a lot more from it, especially when there are free alternatives offering more features. The McAfee name is reassuring, but I'm not sure brand trust is enough to convince me to buy it as my main security solution.